If you have pets, you know that the struggle with pet hair is very real. You find it on your furniture, clinging to your clothes and even lurking in your car. It gets in every crack and crevice imaginable! 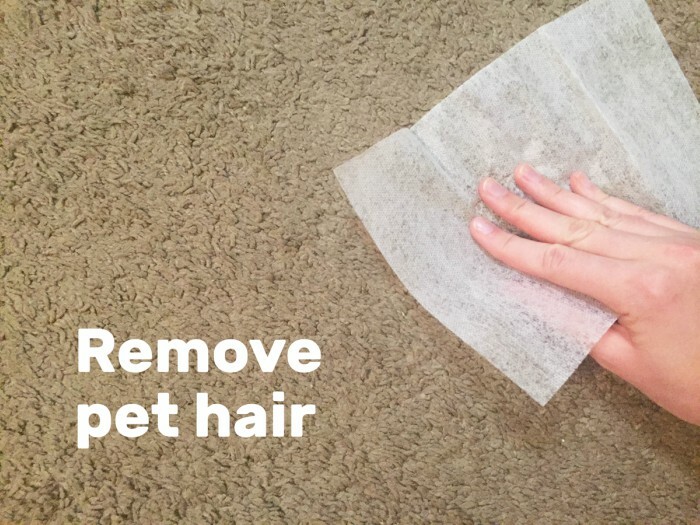 But you can get rid of that pesky problem with these foolproof pet hair removal tricks. 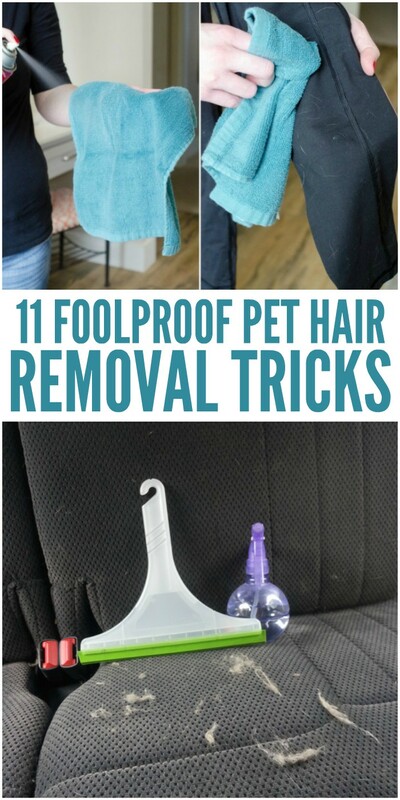 Don’t you love our pet hacks? 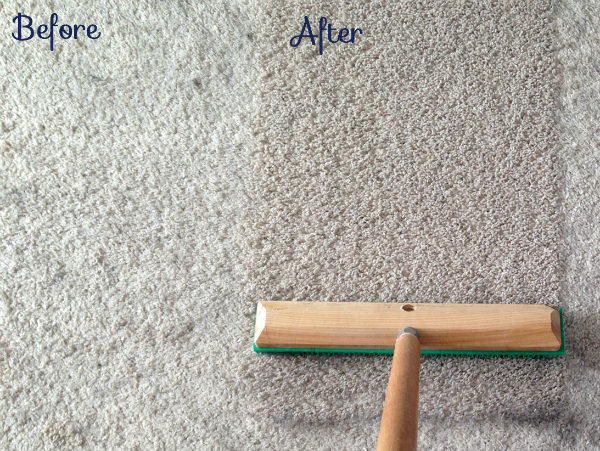 Get incredible results with a carpet rake (or rubber broom) by spritzing the area with water first. 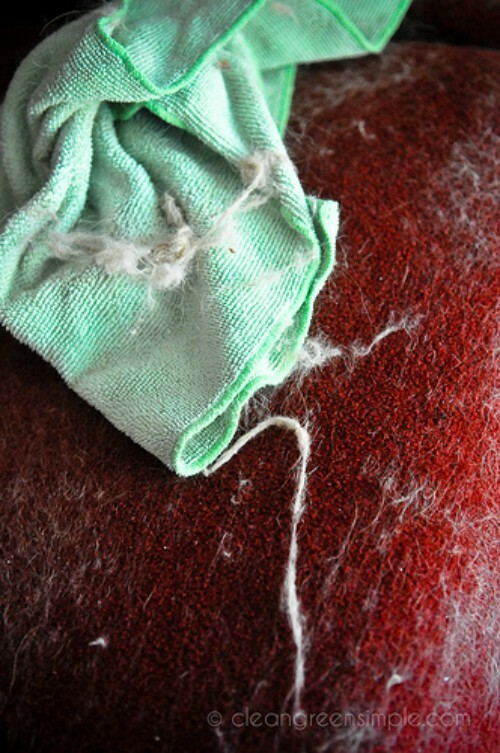 The water helps the rake grab on to the pet hair better, so you’ll get a cleaner carpet. 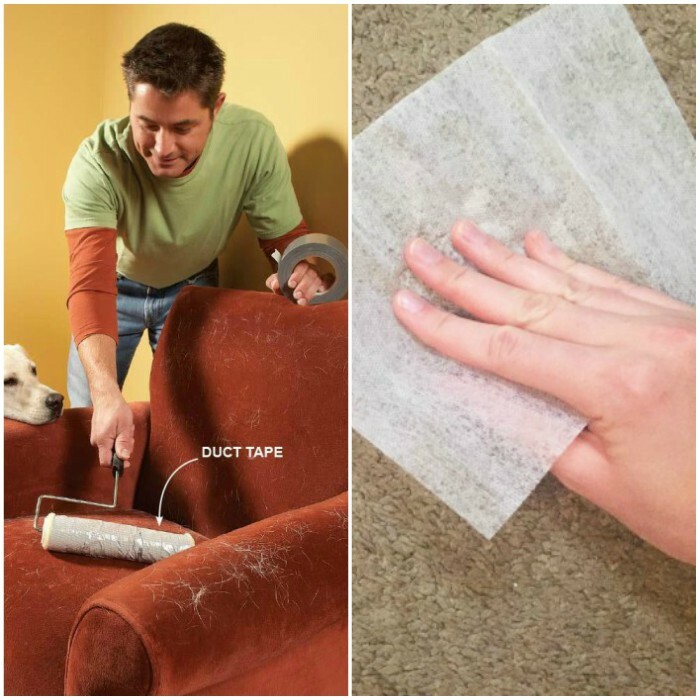 Wrap duct tape around a paint roller (sticky side out) to create a super-effective hair remover on the fly. It’s cheap, and it works! 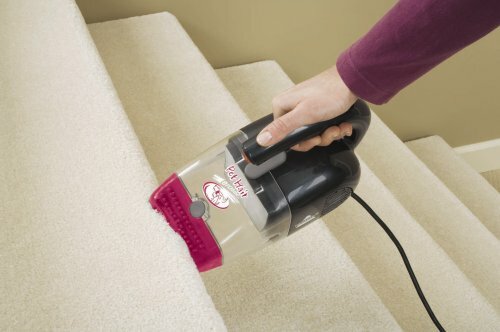 A good handheld vacuum is a MUST for pet owners. You don’t want to dig out the big machine every time your pet sheds a little here and there. 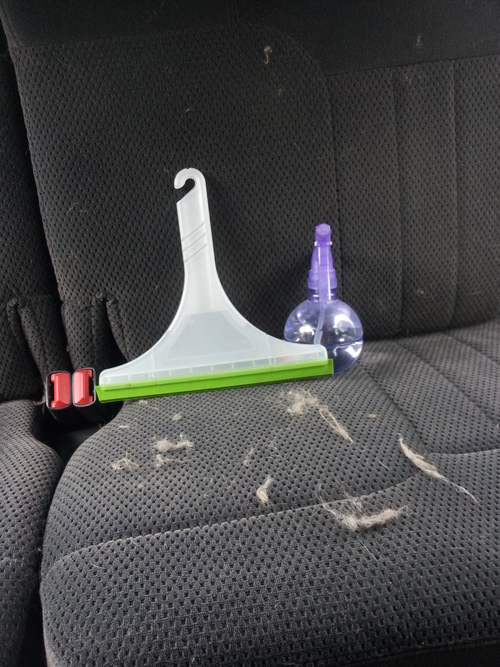 Keep squeegees in the house and in the car to remove pet hair after your furry friend has shed all over the place. 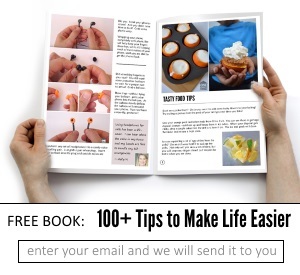 We use this trick often now, and it’s been a lifesaver! 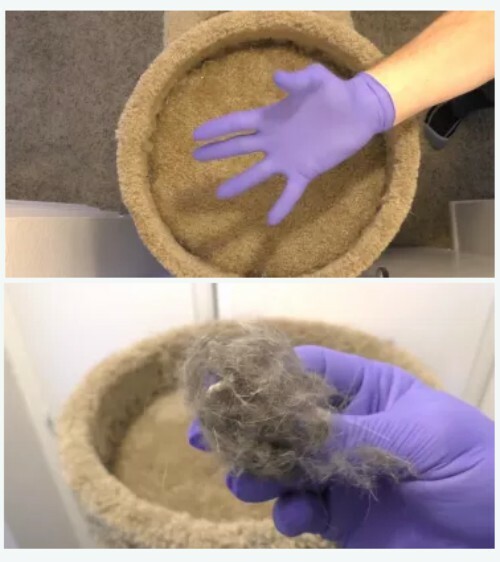 Grab a rubber glove from your cleaning closet to wipe pet hair off of small areas. 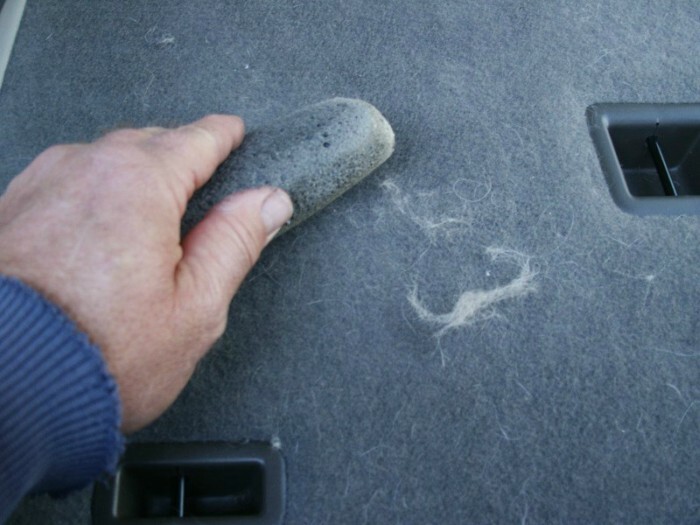 Use a pumice stone to remove pet hair from upholstery if you have one on hand. Perfect for those tight areas in the car! Dryer sheets are useful in so many ways. 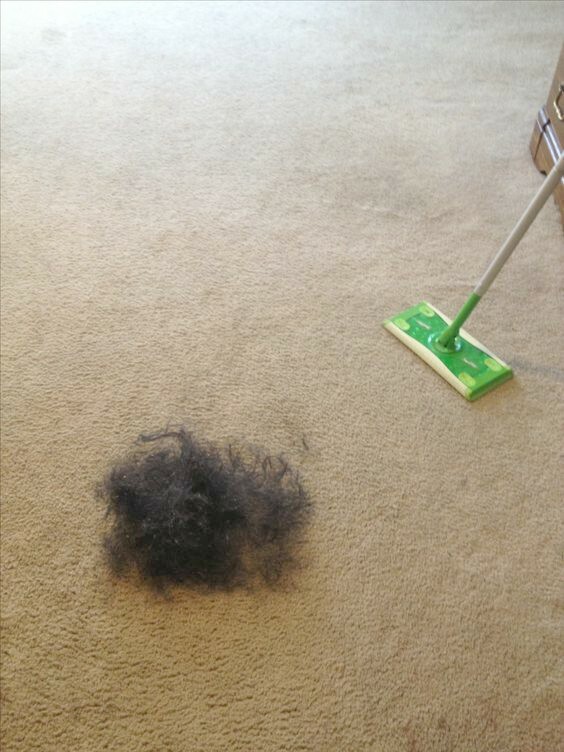 You can remove pet hair from carpet and clothes as long as it’s surface hair. If it’s deeply embedded hair, you’ll want to use one of the other tricks we mentioned. Or grab hair off your clothes with a rubber lint brush. Couldn’t hurt to keep one in your purse! 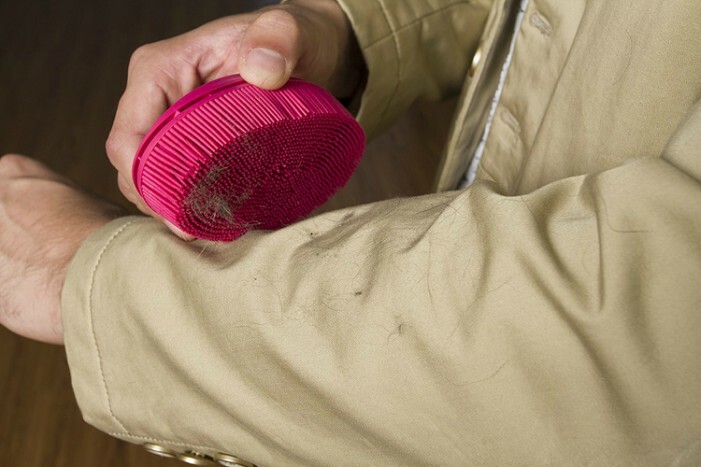 Most of us have microfiber cleaning cloths on hand — aren’t they amazing? 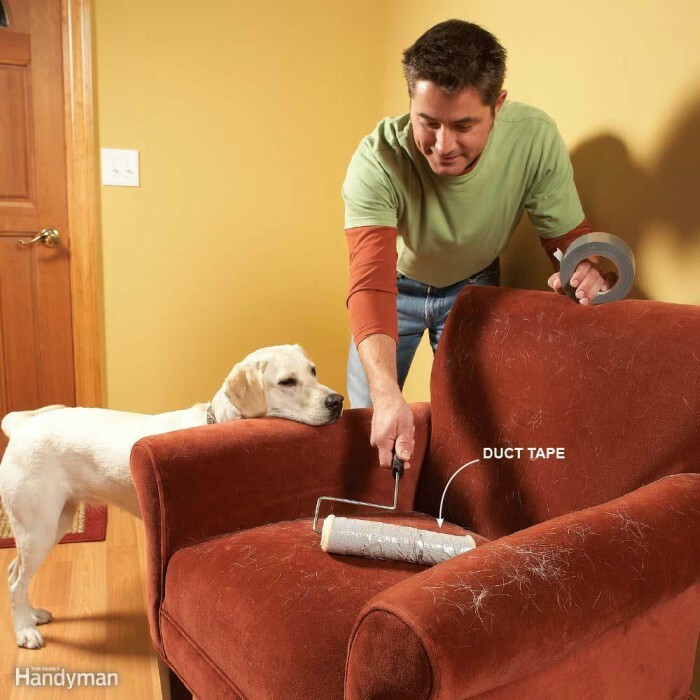 Wipe them across your upholstery to remove pet hair as needed. 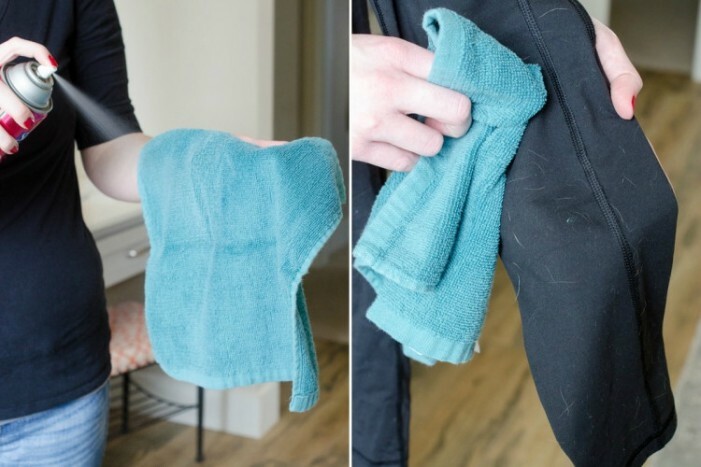 Spray a small towel with hairspray, let it dry, and wipe it over your clothes to remove pet hair in a pinch.